Tech-Wonders.com » Gadgets » Are USB Flash Drives Still Relevant For Businesses? People may wrongfully assume that the cloud is a safer and more secure way of storing and sharing data as it’s a newer technology that is widely used. Many companies even go so far as to ban the use of USB flash drives and depend solely on the Cloud, unaware of potential problems. With precautions in place, businesses using USB flash drives can be as safer, if not safer, when it comes to their data storage and sharing. The Cloud has become a very convenient and almost effortless way to store and share data that it can be difficult to see the need for flash drives. The Cloud, for example, can only work if you have an internet connection. There will always be times where the internet connection will drop or slow down, such as during storms, icy cold weather or problems with the devices Wi-Fi, making the Cloud completely unusable. The Cloud was famously hacked in 2014 and saw over 500 celebrities photos stolen and shared without permission, illustrating the potential problems with security. The Cloud requires users to agree to many terms and conditions, restricting data access by the provider, whereas a flash drive is only restricted by the user, if they choose to, giving them full control. The obvious pros of USB flash drives is that they are small, portable and convenient. Flash drives can offer greater confidentiality as only the person who has it can access the data, and because they’re small they can be kept on the person at all times to give control over access. Flash drives can run software applications and operating systems directly from the units they are plugged into, making them more functional than the Cloud. The downside is that all devices aren’t connected the same way that they are with the Cloud. Devices, like smartphones, automatically backup to the cloud, taking no effort on the user’s behalf, whereas to backup using a USB flash drive means connecting the phone physically to a computer to transfer the data. USB flash drives have a large storage capacity, despite their handy small size, portability and low cost, which is why they quickly overtook floppy disks for data storage and sharing. However, for these same reasons USB flash drives can present serious threats to confidentiality and data leakage as well as having the potential to spread malware. Many companies ban the use of USB flash drives to avoid the potential problems altogether, but this can lead to a different set of problems, such as not being able to access data without an internet connection, which a lot of other backup systems require, like the Cloud. Security problems of a USB flash drive could be easily overcome but would sacrifice the desirable portability of them. This has meant that security measures focus on making the data inaccessible on devices to unauthorized users or processes, such as the type used by malware. Data should be encrypted and the flash drive should be scanned regularly for viruses, malware and spyware to ensure data security. For businesses using USB flash drives, software can be installed on company computers to track and record interactions between the USB drive and the computer, deterring people from misusing the data. 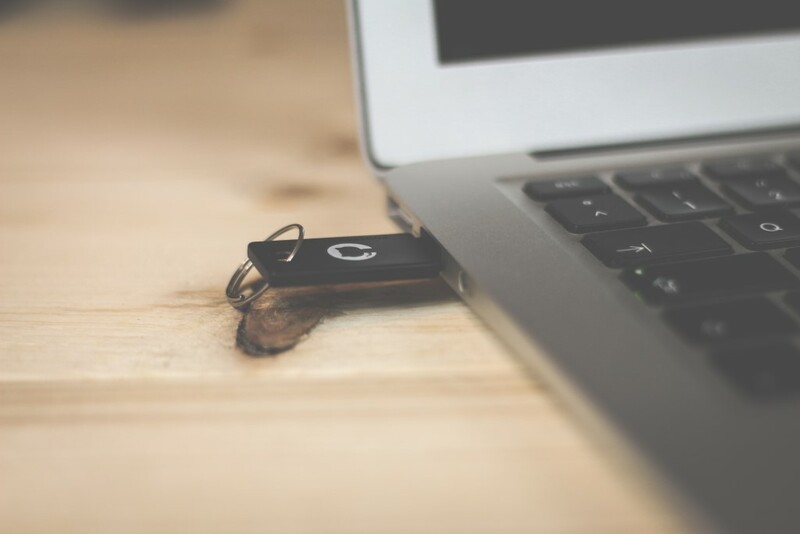 Password protection can also be required to access USB data, so that even if the flash drive gets into the wrong hands it can reduce the risk of data being accessed and shared. Should Businesses Use USB Flash Drives? So, the number question is are USB flash drives secure enough for businesses to use them instead of, or alongside, the Cloud and other data storing and sharing methods? Encrypting them and installing software on work computers can make it safer for their use. Incorporating into employee’s contracts what they are and aren’t allowed to do with their USB flash drives and the data on them can also help to deter misuse. Ensure any employees who leave the company return their USB flash drives immediately to prevent them from accessing or sharing the data. You can buy bulk flash drives to make sharing easy among employees once you have the necessary precautions in place. While the Cloud is useful for its seamless data storage and sharing, it’s limited by these two things and doesn’t have many other uses. A USB flash drive can perform more functions and the user has more control over their data. USB flash drives overcome the drawbacks of the Cloud, cementing their place in current technology, and it’s perfectly viable for businesses to use them for their own data as both options have their pros and their limitations, so it depends on what works for the business and the individuals.